I’m not ready to show up and feel nothing..."
Pretty much everything comes to an end, but grief can be persistent. For some of us, it remains a constant companion despite how much it might subside. And that's because it's not purely an internal thing. Grief is also outside of us – something we cast like a shadow, with a shape that serves as its reminder. It tells us where we've been. It tells us who we've been. It tells us why we changed in the first place. That might be why there is peace and rest to be found on the "other side" of grief. Not because it has been beaten and thus vanished entirely, never to be thought of again... but because it provides a contrast, as our darkest times now help us to appreciate the new light we've come to find. Faith, belief, certainty, dogma. These things stick with you even if you happen to let them go. But you will decide what they mean to you, and how they shape your perspective. We don't have any power over where we come from, or what we're told to think or be. We only have power over what we choose to do with all of that. And that's enough. 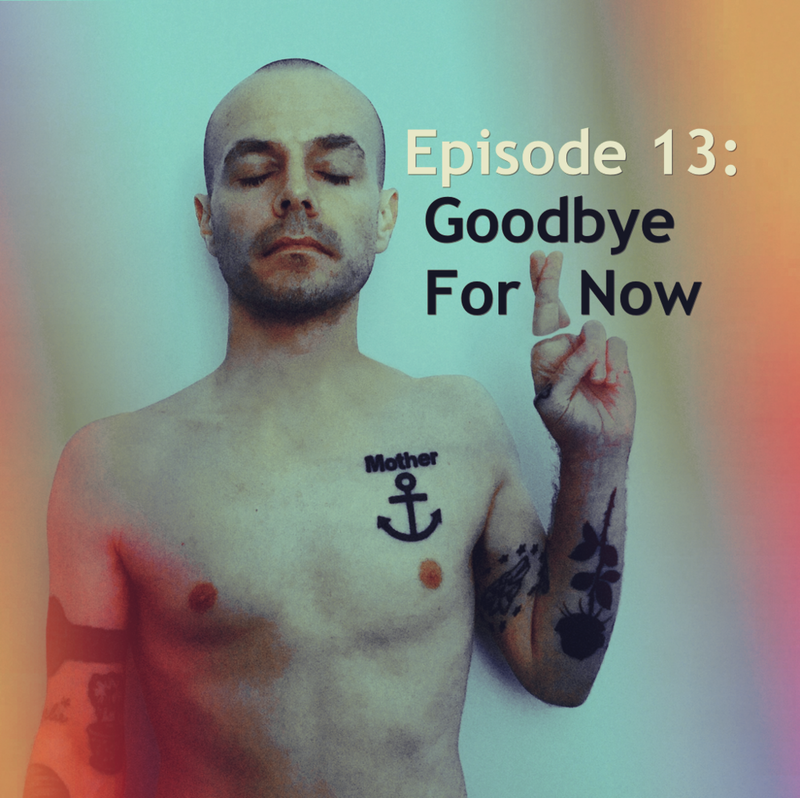 like abandonment to demonstrate how you’ll never leave..."
OUR THIRTEENTH EPISODE DANCES WITH THE THEMES AND IDEAS OF 'GOODBYE FOR NOW' – THE THIRTEENTH TRACK ON DEREK WEBB'S NEW ALBUM, FINGERS CROSSED. THE SONG ITSELF ALSO PROVIDES THE MUSICAL AND SONIC BACKDROP TO ANY PHONE CALLS AND CORRESPONDENCE WE ARE FEATURING THIS WEEK.